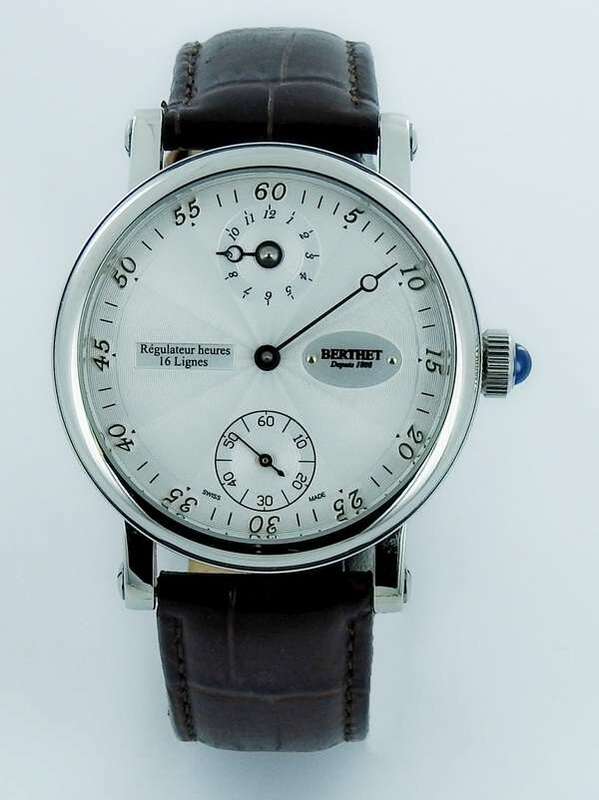 The Orbis Régulateur by Berthet is an example of the regulator format, an unusual layout in which the hour hand is separated from the minute hand and placed on a separate subdial, in this watch at 12 o’clock. 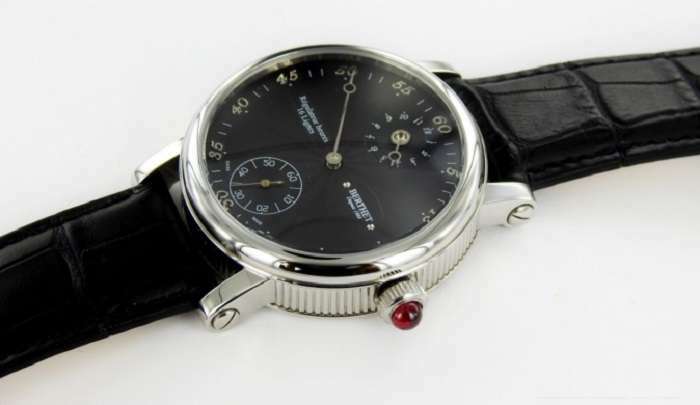 It is based on the big regulator clocks that were once used in watchmaking companies, the idea being that with all the attention and space dedicated to the minutes, it was easier to use it as a reference for the regulation of the watches that they were working on. 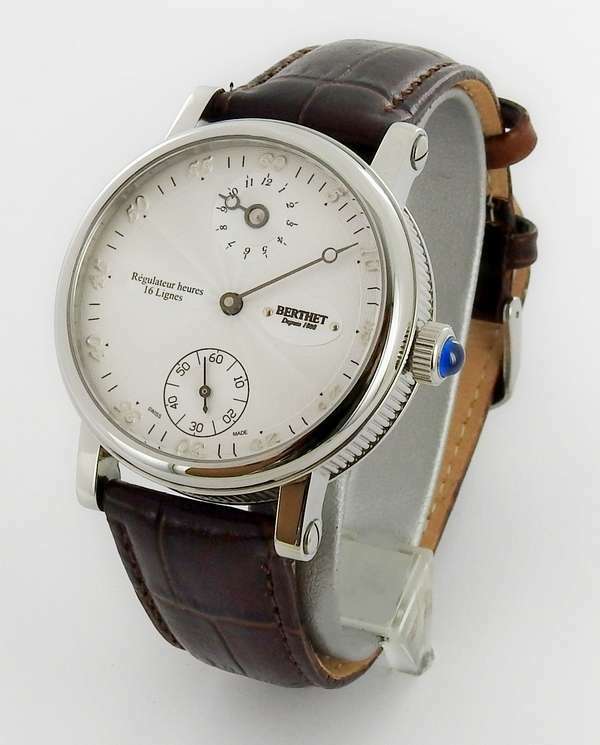 But in this watch, Berthet provide a whimsical interpretation of time, with just a rudimentary minutes scale. It’s as if they were saying, the important thing is not so much the amount of time, but rather the quality of time, as exemplified by the lovely mechanical, hand-wound movement visible through the display caseback. The Orbis Régulateur has the brand’s signature case in stainless steel, 43 mm in diameter and just under 12 mm thick, with the fluted caseband that is possibly a reference to one of the high points of French watchmaking, the work of Abraham-Louis Breguet in Paris. The watch has a water resistance of 5 atm, 50 metres, and a 22mm leather strap with alligator texture and a folding clasp opened with two push-buttons. The clasp can be engraved with your name, and you can choose the strap colour from black, brown or beige. The watch is available with black or white dial, decorated with a subtle radial texture. The crown is finished with a blue sapphire, pink ruby cabochon, or black spinel, or it can be a simple fluted steel crown without the inlaid stone. 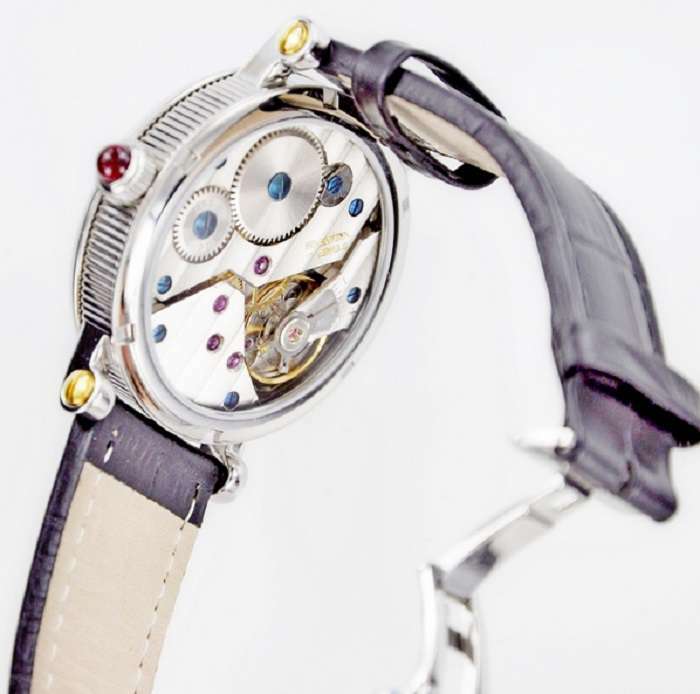 Behind the mineral glass caseback, the ETA/Unitas 6498 movement is reworked by Berthet’s engineers Gérard & William Berthet to provide the regulator complication. It runs at 3 Hertz (21,600 vibrations per hour) and has a power reserve of 48/50 hours. It is finished with Côtes de Genève and blued screws. The Orbis Régulateur by Berthet costs €1,999. 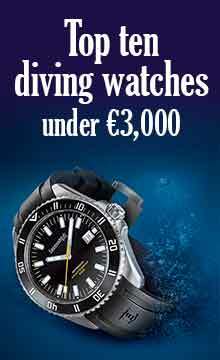 Read more and purchase the watch on the Berthet website.